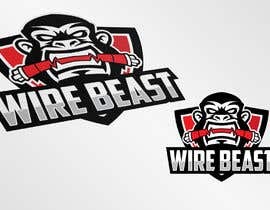 The business is a Structured Cabling company called WireBeast. I am looking for a clean logo preferably with Black, Red, and White colors. I would like a cool Creature (Beast) that can go with the logo as part of the logo. The business will mostly handle Wiring of Cat5, Cat5 and Fiber Cabling (Low Voltage) I am envisioning a Character that does not have to much detail as this will need to be embroidered on Shirts but it has to be cool enough that it will draw attention as we will be designing some awesome graphics for our Company Vans and Trucks. I am attaching some sample logos that we like for concept purposes only. It does not have to look like what I am sending. I do like some of these sports logos but please keep in mind it must be a vector logo. Some of us like Lions, Tigers, and Gorillas Maybe some sort of mix. Maybe a beast grabbing some cables. I hope this is enough to give you some ideas for some pretty cool logos. I am excited to see what you talented designers can come up with. May the best Design WIN!! To portray a monkey as a beast is probably the last one! Cool one! I would've used a different typeface, but the beast looks awesome. Probably too aggressive for a wiring company. Many good entries but I am also seeing many characters that I know are taken from royalty free sites or from other places. I want a logo meaning this will be trademarked and copyrighted. I cannot use anything that I do not have the releases for. I will be checking google for any similar items to make sure this is not jacked from someone. 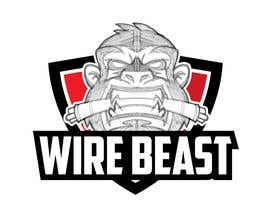 Please note that the name is Wire Beast. I am also looking for a logo that has some sort of character in the logo.